The yacht Hoppet from Brantevik just departing from the harbor of Brantevik. 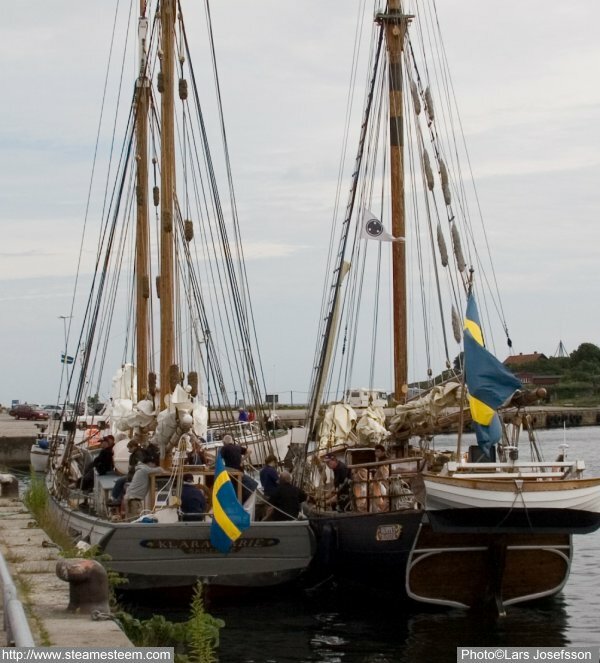 The yacht Hoppet from Brantevik morred outside the schooner Klara Marie from Killinge. The yacht Hoppet was built 1998-2002 on Föreningen Jaktens varv, South Harbour in Brantevik. 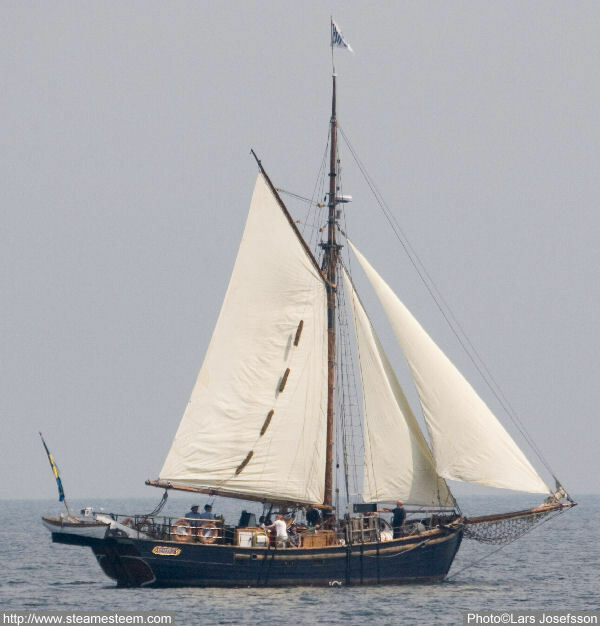 The yacht Hoppet is built with the Danish yacht Castor as a model. 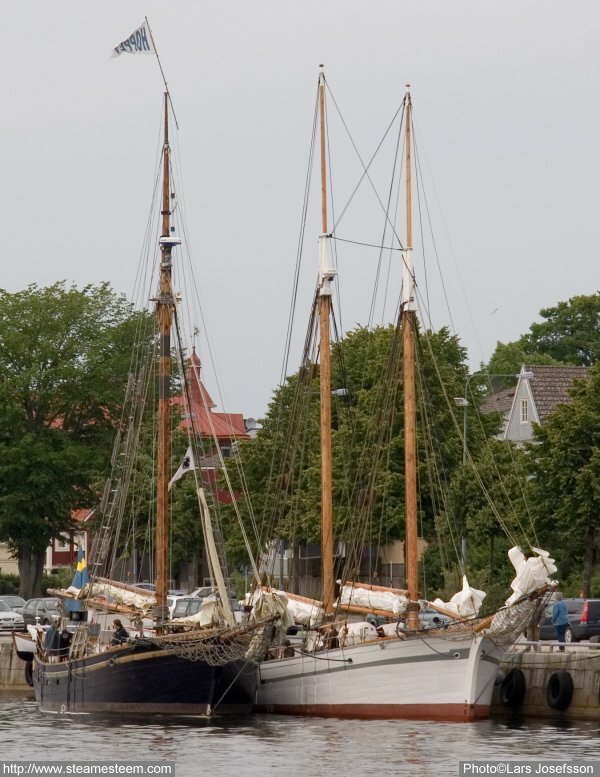 Castor was built in 1867 by Skibsbyggmester Benzon in Nykøbing. 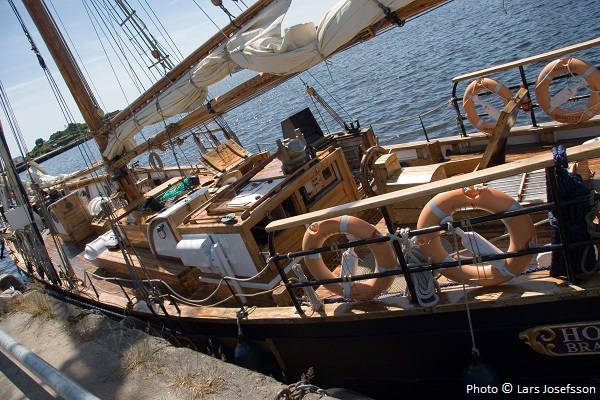 The yacht Hoppet moored in Karlshamn, outside the scooner Klara Marie from Killinge.